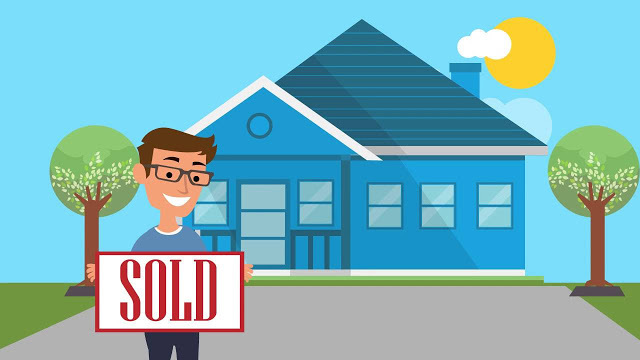 There are hundreds of good house selling tips that can help you when the time comes to call your property agent to put that for sale banner in your front gate. Some are more important than others though. Here are three of the most important points. Your home is not worth more because you like it, and it may not even be worth more after you spend RM10,000 making it the way you like it. It is worth what others will pay. One of the worst parts of a real estate agent's job is trying to explain to a nice couple that their RM45,000 in kitchen improvements only added RM10,000 to the value of the house. It is easy to see the problem with pricing too low, but making less money is a problem of pricing too high as well. You have costs that you pay while waiting to sell. Also, people are suspicious of homes that have sat unsold for a year, and less likely to make an offer even if you have finally lowered the price. The perfect buyer who would have paid the most, might have looked at the home when it was over-priced and walked away. To get the most money, price it right to begin with. Who are your potential buyers? A for sale banner in your front gate won't help much if you're selling a "Kampung" in the secluded area and all the buyers are in the city. Once you identify who the likely buyers are, you or your agent can decide which ways to market the property. Are you in a quiet neighborhood that is attracting retirees? If so, you would want to advertise the fact that your house has one level. "No stairs!" can be an important selling point to older buyers. If the neighborhood is one that is likely to attract young couples, however, it would be a waste of words. Consider your market before you try to sell. Of course you should clean the house and tidy up grasses on your garden if you are having a landed property. The other things you do to get ready for the sale should be cost effective though. As a rule, you should first do those things that will give you a three-to-one return on your money. It isn't important (or possible) to be precise. The point is to do things that raise the value more than they cost. RM5,000 to polish your scratchy floor tiles may increase the value of the house by RM10,000, but a RM50,000 pool might add only RM25,000 in value. Start by replacing that rusty house gate, and work on those things that get "the most bang for the buck." If you have the time and motivation, you can find endless little house selling tips. That may not be a bad idea, but why not start with the important things first? Keep up to date with our blog post and developments right into your mailbox! Want a Big House for Price of Small House? Follow These Tips. What Do I Look For In A Landed Property I’m Buying Now, If I Want To Resell It Later? My name is Kenneth Goh and author of this blog. This blog will share with you more about property knowledge, investment, internet marketing and technology. It is just about anything that is good to share. Do give your comment if you like or dislike this post and I will reply all of them. Thank You for your Visit. If you have any question, please feel free to contact me using contact form here. Serving all your real estate needs...in Hard Mode. Click the button above to call or WhatsApp Me using button below. How to become an instant expert in a location for your home buying quest? How to Price Intelligently for Homeowners? How to Change Account Ownership for Syabas, TNB and Indah Water?